Spin-statistical Factors in Diffusion-controlled Reactions (J.Saltiel, B. Atwater). Photochemistry and Molecular Motion in Solid Amorphous Polymers (J.Guillet). Photochemistry of Simple Olefins: Chemistry of Electronic ExcitedStates or Hot Ground States? The Decomposition of Alkyl Nitrites and the Reactions of AlkoxylRadicals (J. Heicklen). 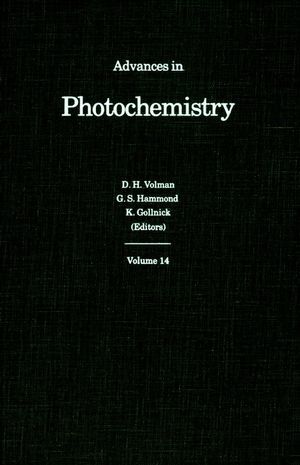 Photochemistry in Surfactant Solutions (G. Bunau, T. Wolff).